Now you are, where joy fills everywhere. Saint Basil lived during the time of the impious iconoclasts. Due to his exceeding virtue and divinely-inspired way of life, he became Bishop of Parium (or Parion), which is a city on the shores of Bithynia, founded by residents from the island of Paros, between Kyzikos and Lampsakos. He was not willing to agree to the heresy of the iconoclasts, and put his signature towards the abolition of the holy icons. For this reason the renowned one spent his entire life in tribulations, persecutions and difficulties, always coming and going from one place to another. He was a champion of the doctrines of the divine Fathers, and he opposed and hated the assemblies of the cacodox. Having served God openly and live a life pleasing to Him, he reposed in peace. Hierarch Basil, priest of the King of glory, thou art a radiant confessor of the faith. Thou didst oppose the iconoclasts and suffer for the truth. Standing before God in glory, remember those who honour thee. 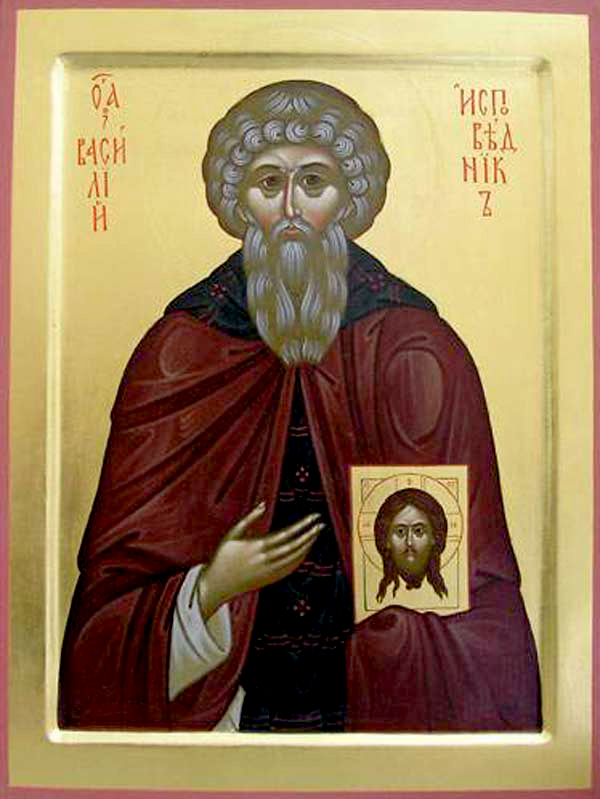 Thou didst royally serve the King of all, O holy Hierarch Basil. Thou didst reveal divine truths, and become a whole burnt offering. To those who honour thee thou criest: The honour given to the icon ascends to Christ.